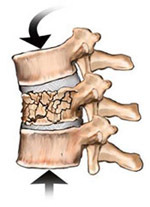 People with strong, healthy bones also can sustain compression fractures from a hard fall or blow to the back or torso. 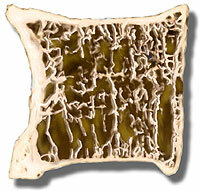 Vertebrae can withstand a good deal of shock; however, if the force on the spine is too great, they can break. This is trauma. Gastrointestinal problems – crowding of the internal organs can be a serious side effect of multiple compression fractures. Shortness of breath – it’s possible for the torso to become so compressed that it’s difficult to breathe.